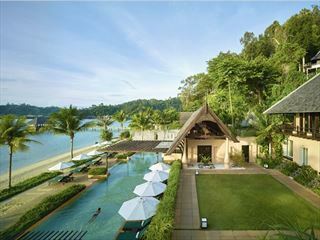 Set in among a nature reserve on Pantai Dalit Beach, the Shangri La’s Rasa Ria Resort overlooks Mount Kinabalu in the distance for truly scenic views. Awash with activities, great food and a welcoming atmosphere, this resort is a really great choice for relaxing vacations. 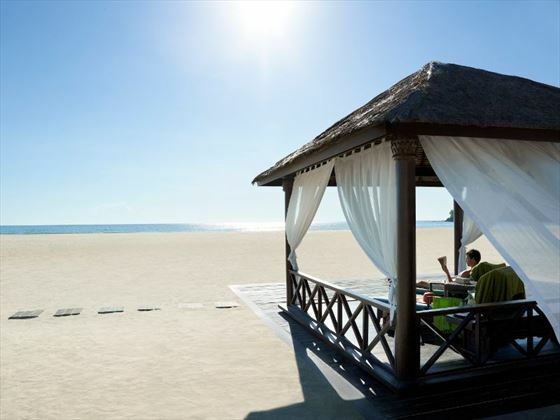 The resort is situated on Pantai Dalit Beach and provides amazing views. 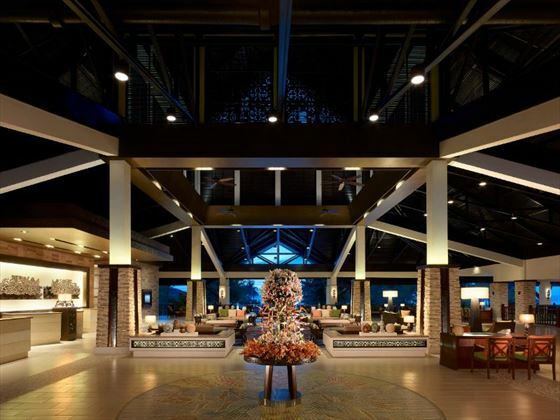 The resort is split into two wings – the Garden Wing and the Ocean Wing. 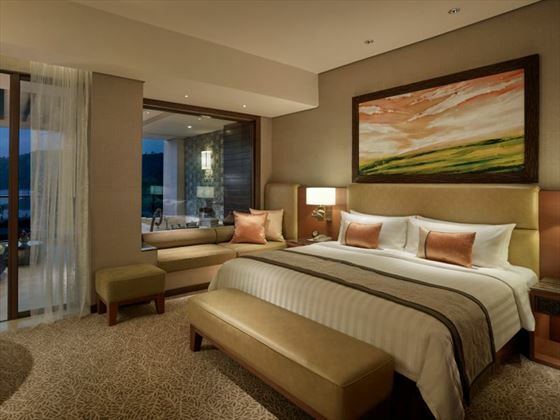 Garden Wing – The Garden Wing features 326 guestrooms which are decorated in a natural style to further accentuate the surrounding beauty of the landscape. 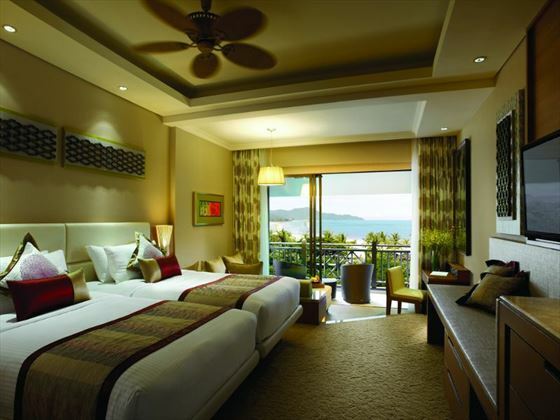 There are various room types available, including Specialty Suite, Executive Suite, Executive Sea View, Deluxe Sea View, Deluxe Garden View and Superior Rainforest View. 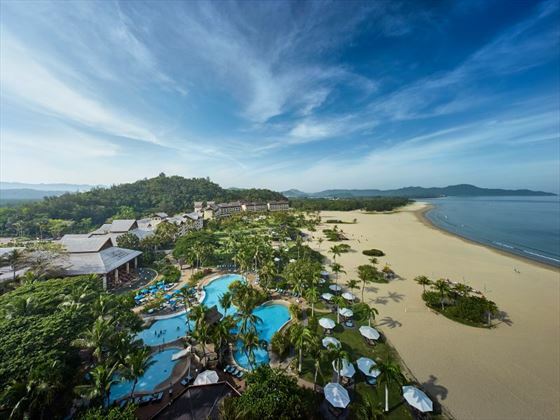 Ocean Wing – Opulent and secluded, the Ocean Wing features 90 furnished rooms with sea views and surrounding tropical gardens. 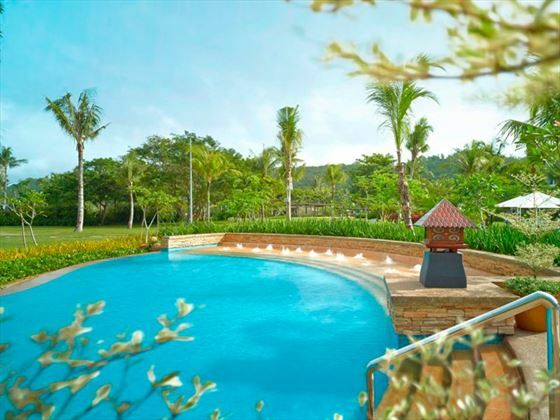 There is a swimming pool within the grounds as well as a tranquil ambience to help guests relax. 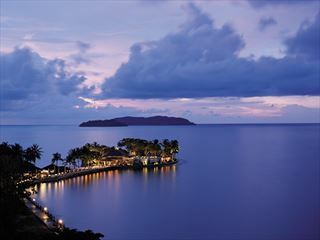 Coast – Beachfront restaurant with an inviting ambience and a fantastic menu of modern western cuisine. Kozan Teppan-yaki – Minimalist in design, this Japanese restaurant offers a contemporary and unique dining experience. Naan – Indian food with a gourmet edge, Naan serves up refined Northern Indian specialties. 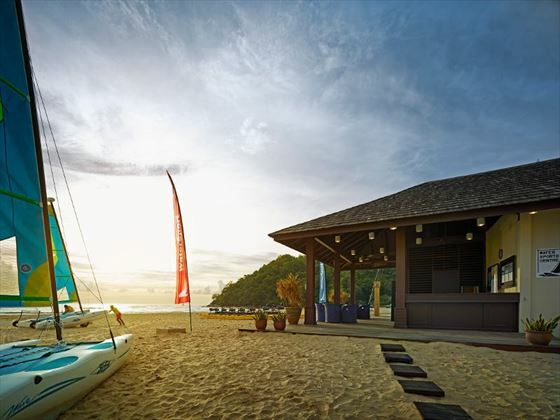 Tepi Laut Makan Street – Providing an insight into authentic Malaysian culture, Tepi Laut is a beachfront restaurant with a menu of Asian and western snacks, light meals and refreshing drinks. On certain days, there will be live dance performances as well. Golfer’s Terrace – Charming dining area overlooking the golf course, with outdoor seating. Lobby Lounge – Open-air lounge with a sophisticated ambience, offering guests views of the beach, pool and tropical gardens. Sampan Bar – Casual bar serving snacks, drinks and cocktails. 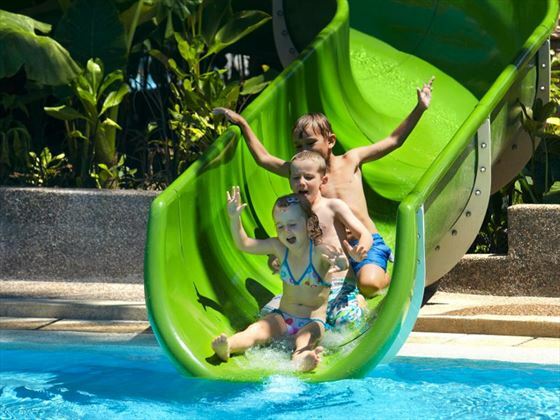 The resort offers an extensive activity list for kids, with a kids club available for children aged 4-12yrs. Activities include face painting, nature adventures, scavenger hunts, beach games, arts and crafts, and traditional dances. There is a children’s pool available from 7am-7pm, located in the main pool area. Orangutans – Children have the opportunity to see a real orangutan in the nearby nature reserve. Half-day ranger program is available for children to spend time assisting the rangers with their daily tasks. Save 20% + Room upgrade Stay 5 nights in a Garden Wing and receive 20% off PLUS receive a complimentary upgrade to next room category. 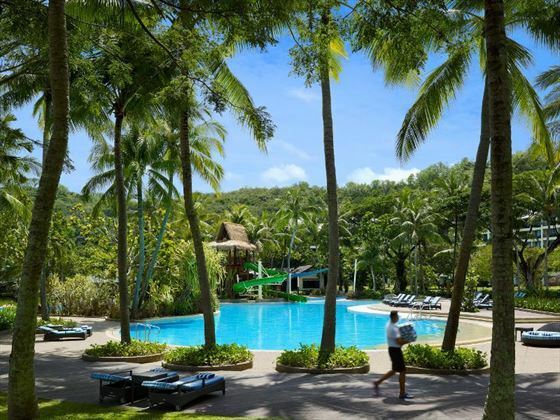 Saving you up to $400 per couple Book by 30 Apr 19 Travel between 1 Apr 19 to 31 Mar 20. Date restrictions apply. 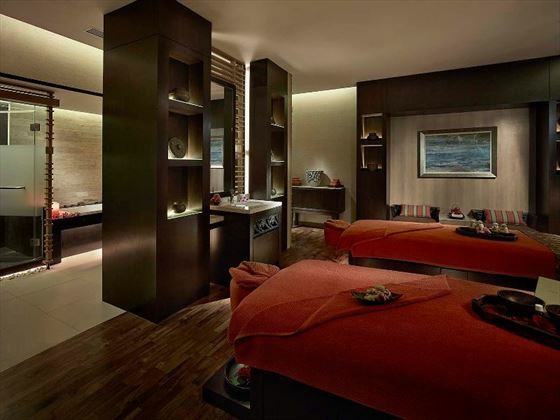 Special offer Stay 5 nights or more in an Ocean Wing Premier Garden View or Ocean Wing Premier Sea View room and receive 30% off PLUS premium benefits. Saving you up to $570 per couple. Book by 30 Apr 19. 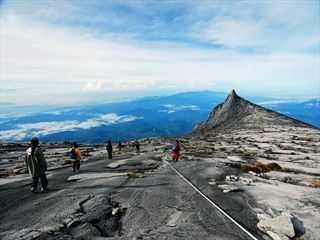 Travel between 1 Apr 19 to 31 Mar 20. Date restrictions apply.